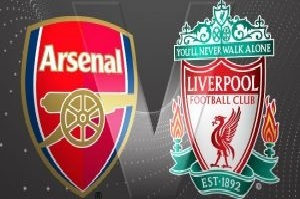 Arsenal will face Liverpool at Emirates on Sunday in the first derby this season. Both teams play attacking football and will give their best to start the season with a win. Arsenal will miss a few players for this clash: Per Mertesacker and also Gabriel Paulista, which will be a problem for their defence as Liverpool have defeated Barcelona with 4-0 a few days ago. On the other hand Liverpool defence has never been the strongest part of the team. In their last six head to head games overs prevail. Only one under and five easy overs, some of them with 5 or 6 goals. This game is the highlight of the whole weekend. Wenger and Klopp will show their fire power. In my opinion it will be very interesting and high scoring game.